I recently defended my dissertation before going on internship. I set this goal during my 3rd year of graduate school. I really wanted to be 100% focused on internship when I began my rotation, and I wanted to be able to become immersed in as many opportunities as possible, including research and attending extra didactics and seminars. However, I knew that with my dissertation looming over my head, this would be much more difficult to do and I would be left with no down time at all. Seriously, it sounds simple. But that’s how I managed it. Of course I didn’t just throw it up on my wall and look at it for inspiration – there was a lot more to it. Staying very organized during the dissertation process is honestly the best way to get it done on time, or early. 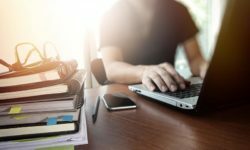 I find that too often, all of our other graduate school responsibilities are more pressing and require immediate action, and because of this, we tend to push our dissertation to the backburner. Practicum, for example, was always something that tended to get in the way for me. I always took on extra responsibilities (i.e. research) at my sites and agreed to see additional patients. I found that chatting with your practicum supervisor(s) about your dissertation goals is helpful in making them a priority. Your supervisor was once in your shoes and in my experience most supervisors do what they can to help you out. First and foremost, right after I completed my dissertation proposal, I came up with a goal date for my defense. I kept it pretty broad and decided to aim for April-May prior to leaving for internship. Don’t make your date too specific because there is always something that comes up. However, you don’t want to make it too broad either, like ‘sometime in 2017’, because then you will open yourself up to increased procrastination. 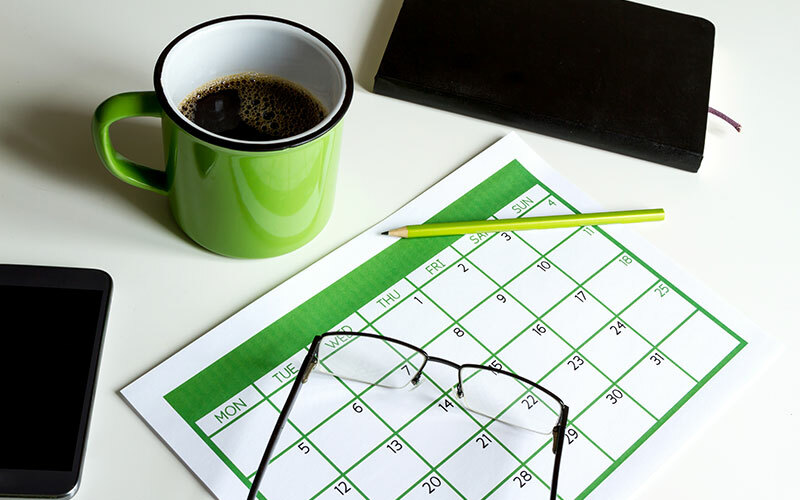 Setting a solid goal date is imperative in keeping yourself on schedule. Having a set timeframe makes your defense more salient for you and your advisor and makes your defense more of a priority in both of your minds. After you have a date, discuss it with your advisor. You want to make sure he or she is onboard with your plan. This will ensure that you will have support for your decision and it also gives you another person to hold you accountable. In fact, keep your advisor highly involved in your entire schedule-making progress. This not only allows for a second set of eyes, it also shows your advisor that you are putting in the work and making progress. Additionally, having your advisor heavily involved in the process makes it easier to get quicker feedback from him or her. If your advisor is aware of your detailed schedule and how hard you are working to stay on top of your dissertation, it is more likely that he or she will read drafts more quickly, be more responsive to questions, and help you with any issues that may arise. Your commitment will go a long way in increasing your advisor’s desire to help you. When creating your schedule, come up with small, attainable goals that fit into your work, class, research, teaching, and social life schedules. We are all familiar with the idea that for individuals with executive functioning difficulties, breaking down projects so that they are less overwhelming is very helpful. Think of your dissertation as the graduate school version of executive dysfunction. For example, I am the type of person who likes to make lists and cross things off of them because it gives me a sense of accomplishment. Doing this with my dissertation schedule allowed me to track the progress I was making and made the whole project much less daunting. The best way to create a schedule is to break your defense into manageable pieces. Specifically, break your defense into sections and schedule a deadline for writing up each one. Separate it out into writing up your methods section, running your stats, writing up your stats section, updating your references, etc. Allow for some wiggle room, too. In other words, don’t create such a tight schedule that if something comes up you’ll get completely off track. On your schedule, also include sending your sections in ‘chunks’ to your advisor for review. Either make this a separate date from when you want to have it written up, or like I did, make them one in the same. This makes the entire project not only more manageable for you, but also for your advisor. Getting back an entire, very long dissertation draft with mountains of suggested corrections can be overwhelming. Doing it in pieces is much less cumbersome. Plus, once you create a schedule for completing the various sections of your dissertation, it will be easier to work edits for each of the ‘chunks’ into your schedule. Not only are small sections easier to complete than an entire draft, but they also mean quicker turnaround from your advisor. No matter how supportive and responsive your advisor is, no one can read through a 50+ page manuscript as quickly as they can read through 5-10 pages. Short sections can be read, commented on, and returned to you in one sitting, which is impossible with a full manuscript, unless your advisor has no other commitments whatsoever. Try not to let setbacks frustrate or derail you from your dissertation progress. The more organized you are with your dissertation the more capable you will be to manage any unforeseen difficulties. All of these strategies were very helpful to me in attaining my goal of defending prior to internship. What are some strategies you have used with planning for dissertations? Feel free to leave a comment below! Tarra is currently a 5th year Clinical Psychology PhD student and will be applying for internship this fall.She grew up in Pennsylvania and also completed her undergraduate degree there.Tarra then packed up and moved to the Chicago area for grad school.Going from a small, farm town to a big city area was a huge transition, but it opened up a lot of doors.Tarra has always loved working with kids, so a specialty focus in pediatric neuropsychology was the perfect fit.To de-stress, Tarra enjoys hanging out with friends, cuddling with her adorable cat, and reading non-school related books.